Sometimes when I walk around inside of a home improvement store or start shopping around on the internet, it’s easy for me to get overwhelmed with the variety of tools & number of tool manufacturers that are out there. Today, I decided to pick one trusted brand–Milwaukee–and then create a shortlist of 5 must-have power tools for the DIY, Mechanic, or Homeowner in each of us! You may not be aware of this but only a handful of tool companies across the earth are responsible for the vast majority of the brands and selection we have access to. Over the past five years, I’ve actually spent a lot of time abroad and right in the heart of the manufacturing world in China, where I have met and even befriended a large quantity of businessmen from various countries. This has helped me to really get a better grasp on what’s actually going on, even in tool manufacturing. Even though there are a few key players that seem to control the majority of the tool manufacturing market, there are actually dozens and dozens of companies making tools at the moment. Because of this reality, it makes it quite difficult sometimes for me to decide which one I should trust when I go to purchase tools. As I thought about this, I realized that perhaps the “safest” road–especially for those of us who can’t easily spend more than a few dollars on a power tool–is to choose a known brand that doesn’t carry a price that is too high to reach. In this way, we can get a good value balance between price, performance, and tool longevity. After looking at some of my favorite choices such as Makita, DeWalt, and even Ryobi and Black & Decker, I felt like ultimately I could make the best decision by going with Milwaukee tools for my core tool arsenal set. Armed with almost 100 years of experience, the Milwaukee Electric Tool Corporation has been manufacturing some of the best tools in the world. Furthermore, even though they’ve moved some of their tooling abroad in order to cut down costs, they still have a relatively high standard for quality and have maintained their position in the market as a trusted leader. In short, I feel like their tools are a perfect addition to any home or business and will stand up to most of the toughest tasks. With my selection out of the way, let’s now check out 5 Milwaukee tools that you probably need to have–if you don’t own them already. Right out of the gate, regardless of whether you rent or own a home or run a business, there are most definitely going to lots of times throughout the course of a week, month, or year when you’ll need to have a drill driver handy. Depending on what type of do-it-yourselfer or handyman/woman you are, you’ll most likely find yourself doing what I’ve done over the years: turning to your drill driver early and often. I couldn’t imagine not having my cordless drill handy, no matter where I am, and my guess is that when you’re completing projects or making home and business repairs, you’ll need that same convenience. Fortunately, Milwaukee is one of those companies that manufactures a bunch of different drill driver options. They’re easily some of the most useful and affordable Mil tools available today, as they come in a wide range of prices and sizes, as well as with different features, in order to ensure that there is definitely just the right tool available for you. I think that this particular drill driver would make a great addition to any home and serves as an excellent backup for a business. It’s small, compact, and very easy to use. Furthermore, it runs on a lithium-ion battery that’s quickly rechargeable, which will ensure that it’s always ready to go when you need it. Tack on the extra battery then you always have one ready in the wings when you finally do manage to run out. Never worry about a dead battery again! Additionally, from my perusal of similar tools, this drill driver stands out as one of the sturdiest and most durable on the market, in its class. I doubt you’ll have to worry about replacing it for many years once you add it to your tool collection. After I got fed-up with the world of middle management, I spent several years working in an independent cabinet shop with my friend Wes and his family. During that stint, I got a better appreciation for the nice, cool Louisiana summers. If you don’t know that this is sarcasm, then you’re lucky. If you’re like I used to be (no so much these days), then you spend a lot of time cutting wood around your home or in your shop. 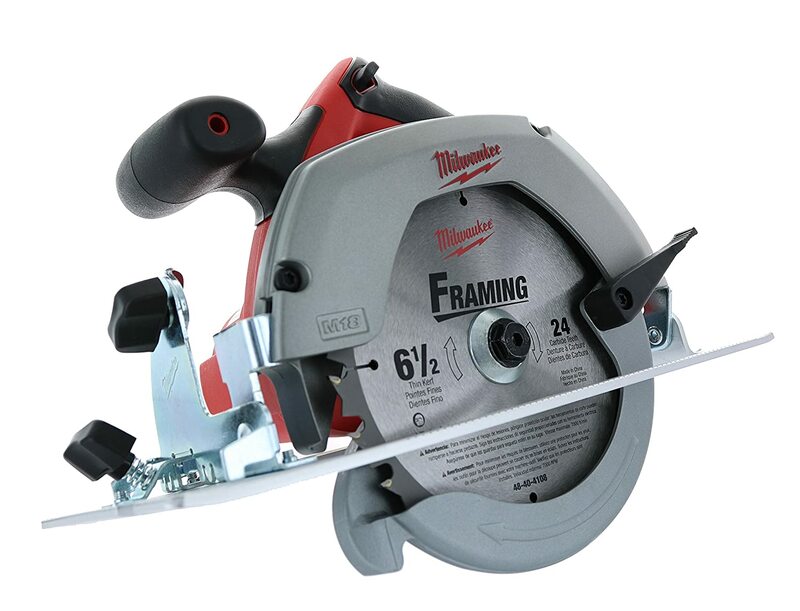 Whether you’re finishing off a remodeling job at home or tackling a set of cabinets for a customer who’s trying to satisfy his wife’s large kitchen dream, this circular saw just might make cutting wood a bit simple and handy. There are some great features I think that you’ll get to enjoy when you purchase this Milly tool. This circular saw is also compatible with an 18-volt lithium battery. It should provide you with plenty of life and allow you to finish off larger-than-normal jobs on a single charge. I’ve used a few different battery-powered circular saws in the past and they often felt more like toys than actual power tools to me–and they even performed more like toys in my honest opinion. With this particular portable circular saw from Mil, I feel that you needn’t worry so much about having enough juice to get done a good variety of cuts before needing to slap on an additional battery pack. 18 Lithium ion batteries required. There are dozens, if not hundreds, of impact wrenches that you can buy for your home or business. So what sets this one apart from all the rest? One of the first things you’ll notice when you pick it up is that it delivers an incredible amount of torque. It can provide up to 700 ft-lbs of maximum fastening torque as well as up to 1,100 ft-lbs of nut-busting torque. But the benefits don’t end there. Milwaukee has other impact wrenches available. But this one should pack all the power you’ll need into one handy tool. The problem with a lot of reciprocating saws is that they don’t allow for you to use them easily with one hand. That won’t be a problem at all when you invest in this reciprocating saw for your home or business. 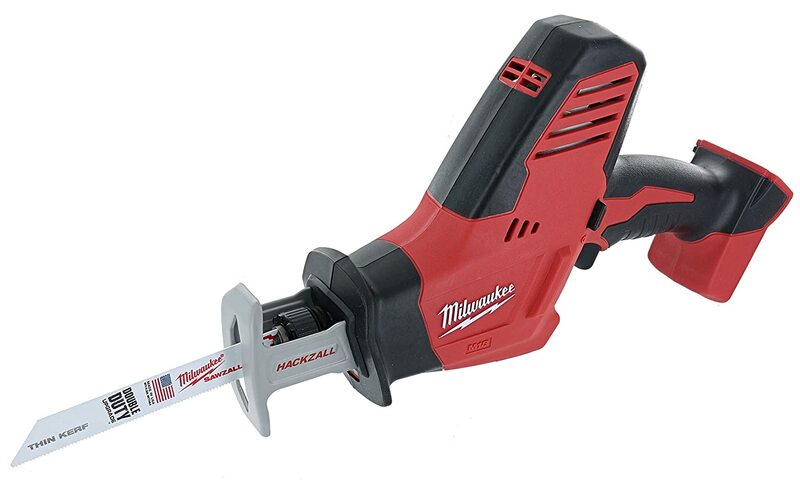 Milwaukee thought long and hard about the design for this saw and came up with something that’ll make it simple to use with just one hand. Additionally, they designed the saw so that it can maneuver around in tight spaces without losing any power. It’s easy to attach Sawzall and Hackzall blades to the saw in a jiffy, and the saw even has an LED light that will illuminate any surface as you cut to help you avoid making mistakes. You won’t believe just how easy it is to make precise cuts with this saw. Need to test the voltage in your home or business in the middle of a project? This voltage detector will allow you to do it in a matter of just a few seconds. The voltage detector is small and easy to handle. It’s also very durable and will last you for years when you decide to purchase it. But maybe best of all, it’s one of the many Milwaukee tools with an LED light on it. Whether you need to test the electrical current in an outlet in the attic or check on an outlet in a dark basement, you’ll have no issues putting this voltage detector to work. These are just a few of the many Milwaukee tools you should consider adding to the tools you already have in your home or business. When you have these tools at your disposal, you’ll find it easy to finish off jobs that you’ve started in your residential or commercial property. You also won’t need to spend time worrying about whether or not the tools will work since they’re some of the most reliable tools around. Check out our blog to learn more about other tools you should have in your home or business.